I love color. I love its lushness, richness, exuberance. I love to see what happens when I put one color next to another—how the new color enhances, changes or quiets the original. It was color that brought me from plein air and still life painting to the energy and resonance of abstract expressionism. I use the traditional tools of color, line, form and texture to create work that is free from reality. I carefully build up layers of paint—creating tension, history and mystery. Through my paintings, I dig into my observations and impressions to express my feelings and experiences. 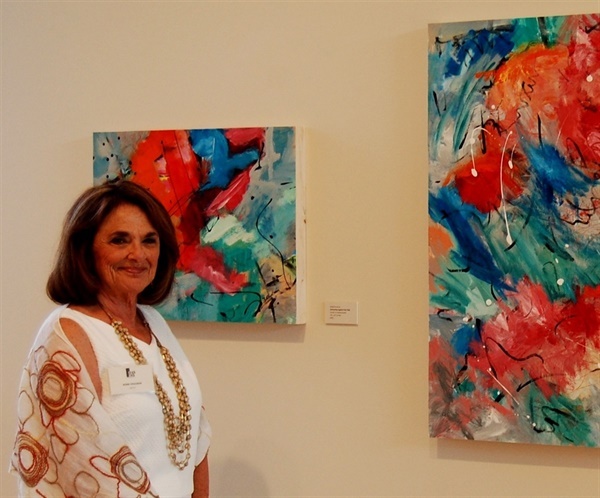 While my abstract paintings are not of anything recognizable, they have meaning to me. But I want you, the viewer, to be an active participant. You don’t need to know or care about my meaning. If my work speaks to, sings to or touches you, if you are able to develop your own interpretation—develop your own personal relationship—then my art becomes yours. .